Everyone loves a good unboxing video. It's the internet’s way of giving you the virtual experience of opening something brand new before you even order it. Before you unpack your new FreeZone Freeze Dryer, this video will show you what to expect inside those big boxes, and how to assemble the components to get your lyophilizer operating at peak performance. 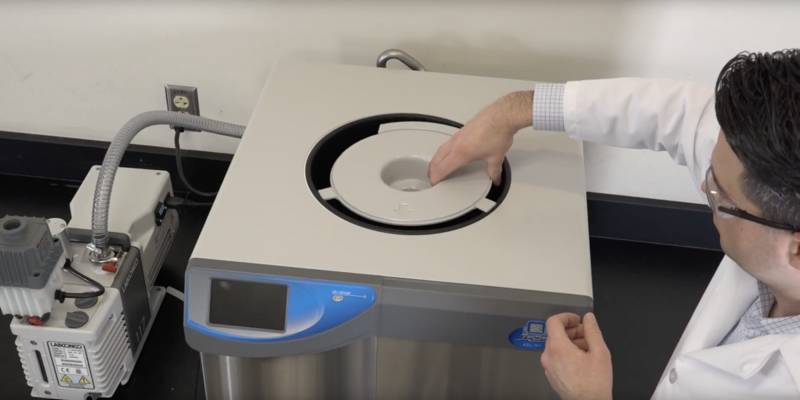 If you order your new Benchtop FreeZone Freeze Dryer with a 4 or 8-port manifold, or with a 12 or 16-port drying chamber, this video also describes how to install your accessories. Instructions for installing clear chambers and larger accessories can be found in the accessory’s instruction manual. We’re here to support you. Our product service representatives are available by phone, email or live chat from 7:30 a.m. to 5:30 p.m. CST to answer questions about setting up your new FreeZone. Contact Labconco Product Service with your questions.